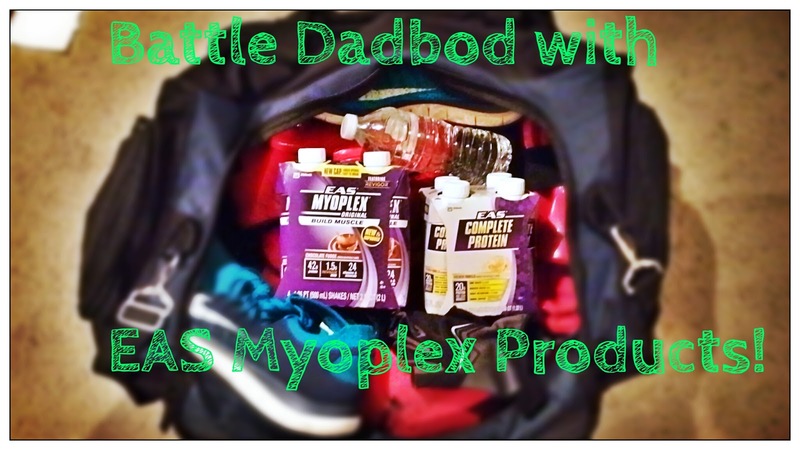 Battle Dadbod with EAS Myoplex! Before I became a parent, I was in pretty good shape, but it wasn’t because I was health conscious. During college, I was certainly no stranger to a late night pepperoni pizza or two, or the occasional Dixie cup filled with Bud-Light tapped from a keg. But between being on the football team for a time and joining the school’s martial arts club, I led such an active life style that my high metabolism incinerated all of the bad calories that I took in. Fast forward to the present; Now that I’m a full time parent, my priorities have shifted. 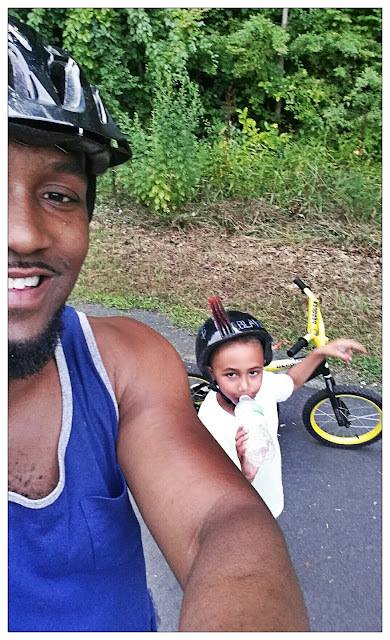 The time that I used to spend training is now dedicated to caring for my two boys. Unfortunately, the habit that I carried over from college for sure was my poor eating. The beautiful 6 pack that I so foolishly took for granted was slowly being replaced with an industrial sized keg. I knew I needed a change, but I would often use the kids as an excuse and convince myself that I simply didn’t have the time to work out anymore. The wakeup call for me happened one morning when I was late for work. I was rushing through the house trying to get ready. I put on my pants and noticed that they were a little snug, but I didn’t pay it any mind. That is, until I bent over to tie my shoes and heard a ripping sound. I looked behind me in a mirror and saw a huge split all the way down the back of my pants. I couldn’t deny it anymore: I had “dadbod”. While the whole dadbod movement is primarily about self-love and acceptance, I didn’t like the flabby figure that I saw in the mirror. It was right then and there that I decided to take control of my life (and my waistline). 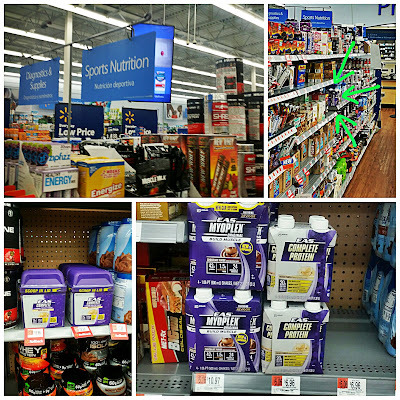 One of the first things I did was head down to my nearest Walmart to the Sports Nutrition aisle. 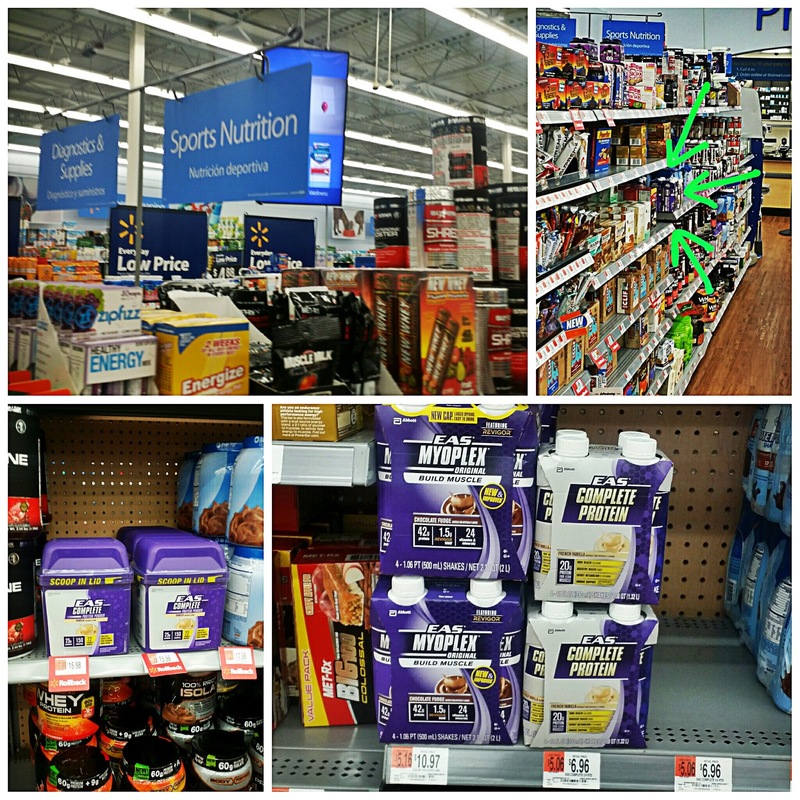 It was there that I picked up a couple of EAS Myoplex ready to drink shakes. Since I’ve been on such a haiatus, I knew that my body was going to be depleted after going through my exercise routines. The protein and complete nutrition in EAS Myoplex gives me the boost that I need to help my body recover and rebuild to its best. Since my free time is scarce, I’ve been making more of an effort to be as efficient with my time as possible. I’ve worked out my schedule with my wife so I can have at least two gym days per week. Even though, there are things that come up that might prevent me from going to the gym, on the days that I can’t, I try to incorporate my kids into my workouts by taking them out on walks, bicycle rides and playing tag in the backyard. 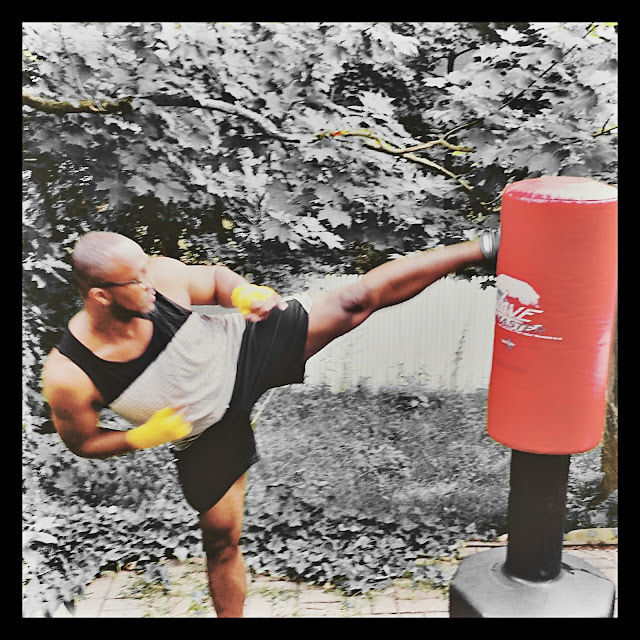 I’ve even decided to get back into a little bit of martial arts training! In the workplace, even the seemingly minor changes have made a huge difference. For example, there are five floors in my office building. Instead of taking the elevator every time, I’ve been using the stairs. Also, if I wanted a coffee, I could always go to the cafeteria that is located in the building. As opposed to doing that, I’ve been walking the half mile downtown to the nearest coffee shop for my fix. After going through all of this, I’ve come to a realization. Sure, I want to look good, but I’m no longer concerned with results. Adopting the healthy, active lifestyle has given me more confidence and the sense of satisfaction I get from accomplishing the goals I sent for myself has me feeling better than ever! 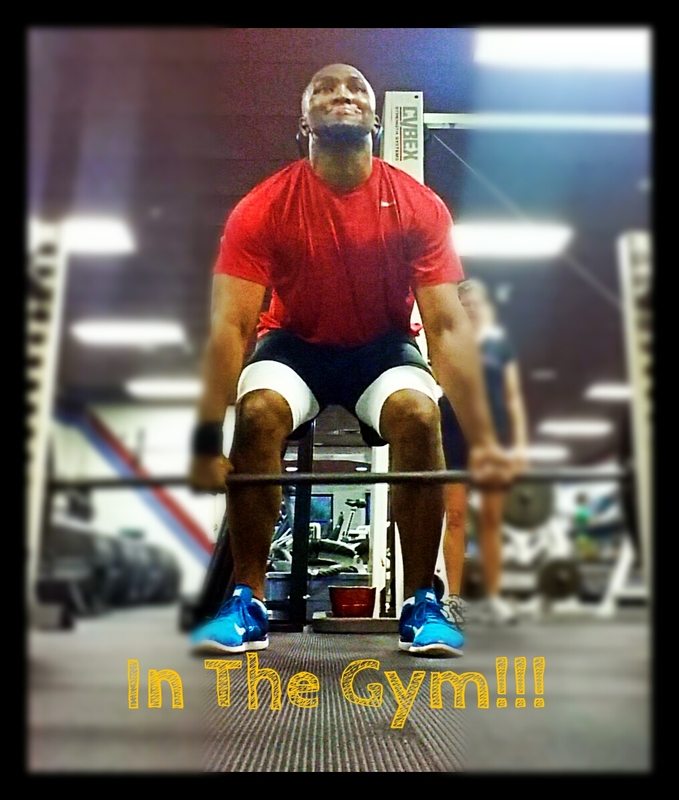 Now, I want to hear from you: What kind of workout routines are you guys into? Comment below! I was lying on the couch feeling exhausted from a long day in the office, which was then followed by a hectic evening getting the boys through their nighttime routine and eventually off to bed. The living room was dark, except for the dull glow of the screensaver on the TV, which permeated from its screen. Usually, even that little bit of light would be enough keep me awake, but my tired body stubbornly refused to allow any distractions from allowing it to reach its goal. Too tired to even make the trek from the couch to the bedroom, I rolled on my back, slung my forearm over my eyes and slowly began to let myself drift away. 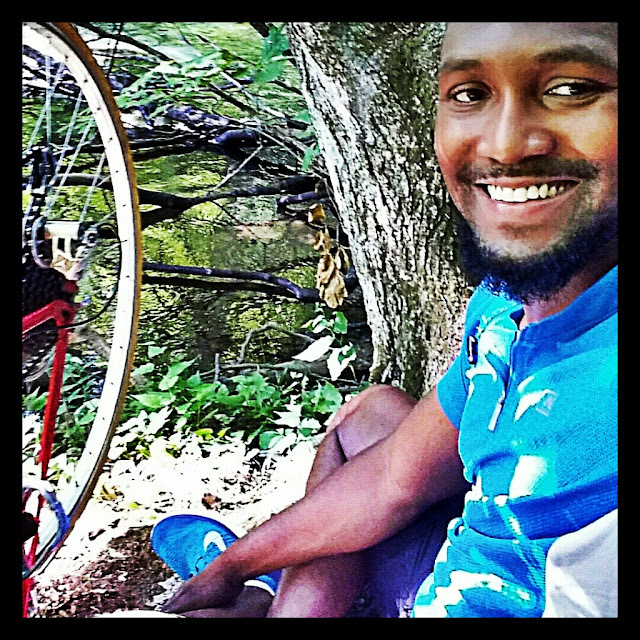 Right before I started my REM cycle, a small, familiar voice pulled me out of my trance. I rolled on my side and straightened my neck upwards with squinted eyes to find my 6 year old son peering back at me. “I can’t sleep because there’s a monster in my room.” he said with a pout, arms crossed. I was silent for a moment as he stood there in front of me. My wife and I have been dealing with this “monsters” phase for a little while now and quite frankly, I was feeling a bit annoyed that he woke me up once again because of it. Occasionally, I would take the “tough love” approach by insisting that he had nothing to worry about and he needed to get back into bed. But today I decided to handle it with a little more empathy. I brought him into his room, adjusted his nightlight and checked each closet, corner and space beneath the bed until he was satisfied his room was 100% monster free. I laid him back in his bed, and ensured him once again that there was no such thing as monsters. I kissed his forehead and stayed with him until he passed out. As I tiptoed back out his room and walked down the hallway to mine, I felt a sense of guilt come over me. Even at the age of 6, I try to be honest with my son as much as possible, but I had just spent a better part of 15 minutes lying to him with a completely straight face. I assured him that monsters didn’t exist, but in reality I knew this was far from the truth. The monsters that I had in mind don’t come in the form of apparitions or creatures with glowing eyes and sharp claws. The type that I’m referring to wear badges, and are seemingly so drunk with power that they regularly take the lives of young Black men and women with reckless abandon and without repercussion. Both of my children are biracial, and there is nothing that I would love more than to sit them down one day tell them that race doesn’t matter. The sad reality however, that is not how the world as we know it currently functions, and when they become adults, they will need to learn to navigate it with a layer of hyper-awareness that all Black males are required to possess as a default in order to ensure their safety. This awareness comes with the understanding that not all police officers are bad people, but also knowing there are enough bad ones out there for them to be on guard. But even that might not be enough. They’re still young, so I decided to hold off on having these discussions. But one day, as we’re skipping rocks in the pond, I might use that moment to talk to him about the proper way he should conduct himself when he gets pulled over by the police. Or perhaps as were eating ice cream on a park bench, I can instruct him on how to respond if an officer wants to frisk him. One day, when we’re working in our garden, I might even explain ways that he might make himself “less suspicious” and why these skills are so important for him to know. One day, before he finds out the hard way, I will reveal to him that monsters do exist. These were the thoughts that swirled in my head as I lay in my bed that night, trying in vain to fall asleep. Do you have your son’s birthday coming up and you are planning a special gift for him this year. It could be that it’s his 5th or 10th birthday and you are looking for a remarkable presentation this time. So, what is it that will make the tiny one jumping in joy with “Oh daddy, I loovvvee you soo much”? While there is no dearth of cutting edge toys and gizmos for little boys, a special gift is something that will bridge a cherished emotional bond between you two for life. A cute puppy can definitely mark a phenomenal gift for your son’s upcoming birthday. Men and dogs always share a special connection. To know more about it visit this link. There are various benefits of letting your child play and grow up with a dog. First of all, a puppy can be the cutest and most loving gift ever. Your kid would get a constant companion whenever he is at home- who will never be tired of showering affection to him with constant hugs, licking and snuggling. Unlike teachers or parents, the puppy won’t ever be critical & dictate orders to your little master. They would always love him, unconditionally- & the very presence of the pup would provide a feel of security for the kid. This very unconditional love & companionship from the pup would make the kid feel important that further helps in developing self-confidence and positive feelings about oneself. The very fee that there is somebody to who I am really significant is an excellent mood booster. It has been found that kids attached to their pets are better at building and maintaining relationships. It’s because companionship with the dog would help to develop feelings of empathy, love and responsibility as well as gratitude among the kids- the crucial ingredients of any successful relationship. If your son is too energetic and if you often struggle to keep pace with him, a pet puppy would be the right gift him this time. According to studies, dogs could help to calm down overtly aggressive or hyperactive kids. To know why every man must have a pet dog, click here. Now, when it comes to buying a dog, you must be careful about the breeder. You can visit https://www.k9stud.com/ as the site offers you to interact with some of the most qualified breeders here in America- irrespective of the breed you are looking for. This portal also holds basic data about almost every type of dog breed.